DID SHE SUBMIT THE “CUBAN” QUESTION?…. I was appalled by the lack of respect and decorum shown by various members on the Dias including the town manager. I would respectfully suggest that the manager carefully reads the ICMA ( International City/Council Manager’s Association) tenets and code of ethics in full. Pay particular attention to tenets 5, 6 and 7. How can you claim that you were not getting involved in politics and then carry out a full scale attack on one of the local newspapers with whom you have a difference of opinion? Secondly: I wish to point out that the commission voted on the rules of decorum and it was to be only one warning and the vice mayor brought to our attention that this also applied to members of the dais. After only one warning then anyone in the audience or on the dais including the manager can be removed. Thirdly – I want you all to pay close attention to the difference between a “personal attack” and a “personal opinion”. We have laid down very broad parameters that allow members of the audience the right to address us by name and then criticize the way we carry out our duties as elected officials. It is unpleasant to have to sit through comments such as “Commissioner Dodd you are clueless and have no idea how to conduct the town’s business – why don’t you pack up and go back to England”. This is a personal opinion nothing more. The reference to another country such as England or Cuba is allowed and can not be considered as a “personal attack”. If someone calls you a “liar” or a “thief” or “of doubtful parentage” then these definitions come within the realms of “personal attacks” and the speaker should receive an immediate warning. At last nights meeting in my opinion there were no public comments that were “personal attacks” within our very broad guidelines. The mayor was elected to be the one with the gavel – let her decide whether the speaker crossed the line. I hope our last two meetings can be conducted with some vestiges of respect towards each other and an understanding of our roles within the municipality and the reasons why we were elected. We are there to serve the people and the manager is there to guide and assist us in every aspect of carrying out our duties (tenets 8, 9 and 10). Since this letter is addressed to me. I see it as only fitting and proper I respond. We are currently in the midst of a very nasty political campaign that sees to bring out the worst in peple resulting in unsubstantiated, misguided and uniformed expressions that are publicly reported as facts, when the truth remains untold. I am a professional contractual employee of the Town of Lauderdale by the Sea. I was contracted as the Town Manager, and pursuant to Florida Law and the Town’s Charter, I am obliged to comply and insure compliance with existing laws and ordinances. My actions are not guided or motivated by any underlying political motive, as I am not an elected official, nor do I want to be. I am an appointed employee of the Town. I was appointed by a majority of a sitting commission, made up of five elected officials. Lately, an item contention has been the claim that I have an employment contract for life. That could not be further from the truth. The truth is that I serve art the pleasure of the five sitting member commission. If you do the math, it takes one swing vote on the commission to terminate my lifetime contract. If at any time, three sitting commissioners decide that my services are no longer needed or desired you need only to speak up and vote your conscience. Having said that, after more than 30 years of public service and countless accomplishments and recognitions, I refuse to apologize for a contract that I negotiated in god faith,in a public forum that was approved by five elected officials. If you disapprove of my performance, all it takes is that one swing vote. In the meantime I intend to carry out and fulfill my duties as Town Manager until otherwise decided by a majority of the Town’s Commission. Now, I would like to address the issue of freedom of speech and the freedom of the press. I do understand that publications in this country have the absolute constitutional right to express and print their opinions. This is an immense power that can be used to mislead the public into believing information as factual when in reality it is information expressing one biased political viewpoint. Let me remind you that every story has three sides, two opposing opinions and the truth somewhere in the middle. It is also my constitutional right and responsibility when it relates to facts I know not to be true. Freedom of speech does not give a person license to be disrespectful and or discriminatory. Although commissioner Dodd opines otherwise, a comment “Why don’t you pack up and go back to England” when directed at a person of English ethnicity, or a comment such as the one recently made at the February 09, 2010 Commission meeting. “Cuba, get out of this country, get back in your boat, go find your paddles, go back to you dictator”, is very much offensive, insulting,disrespectful, unprofessional, disgusting, demeaning, annoying, discriminatory…. need I say more? No, this is not an expression of an opinion; far from it. In fact, it is foul conduct that constitutes disorderly conduct. I can not more strongly express my disagreement with Commissioner Dodd’s opinion that these comments are not personal attacks. If they were not personal, please explaining to whom these comments were directed to? As for going back to Cuba. I should not dignify the comment with a response, but let me say my father was born in the US and served honorably in the US Navy and my mother was Cuban born and worked her entire life in New York retiring from her job and realizing the American dream of owning her own home with a white picket fence. In my immediate family, there are four Public Servants and my family’s combined years of public service are in excess of 80 years. And last but not least, I was born in the State of New York, in the United States of America. The Cuban comment was not an opinion; it was an utterance of complete disrespect. It goes without saying that even though I am not one myself, we are a country of immigrants, a fact that I am proud of. The biggest insult though is Commissioner Dodd’s admonition of my conduct as it I were his direct subordinate (God forbid). Commissioner Dodd, not only are your opinions misguided, but I for one, am not certainly bound by them. What in heaven’s name wee you trying to accomplish with your letter? Moderator Carol Smith- “This is a question on decorum on the dais. Freedom of speech in the United States is protected by the First Amendment to the Unite States Constitution and by many State Constitutions etc.considering our protection on freedom of speech. Third LBTS Resident Mr. Gress made his comments that have been said often by politicians and immigrants from Cuba and those comments in this writers opinion were “used” by the Town Manager, the Vice Mayor and several backers of Candidates Silverstone, Evans and Couriel to rile up the hall!…. And finally, I did receive a reply from Ms. Smith the moderator from the LOWV…it was even more disturbing and gives this writer pause in my opinion of the Broward LOWV and their method of conducting such forums… I replied and that is below as well…. THE E-MAILS LOWV…Feb. 17, 2010…. I did not write the questions–I merely read what was submitted. Even the Sun Sentinel in its article on Lauderdale by the Sea identified the rude behavior during some Town meetings. Where the problem lies, I do not know. It is up to the candidates to address the question as presented. That particular question will not be asked on the 25th–it’s already been answered. It is not up to me to check the facts in the question. Someone thought the question important enough to be asked. The voters will make their choices on March 9. Ms. Smith, I am disturbed by your response. The Sentinel article was also the recipient of many responses from some of the candidates and LBTS citizens for false statements made. I feel you inflamed a situation by using that “Cuban” question. I also think the writer of that letter needs to be made public. I say this due to a memo I have posted this afternoon from our Town Manager to the LBTS Commissioners that contains the very same verbage used in your question. The memo was distributed on Feb 16, 2010. How is it possible that the verbage was identical? Either the question was submitted by the Town Manager, or the Town Manager was in possession of it and used the letter submitted for this meeting prior to the meeting. Both scenarios are cause for concern. I still feel the LOWV owes the voters and residents of LBTS an apology at the Feb 25, 2010 meeting. This is another LBTS Rorschach test…..
Here’s The Scoop …… Scene And Heard … 24 Hours Before …. THE DOORS OPEN TO QUALIFY TOMORROW 9 AM ….. So what can we expect in the next days of qualifying for the March 9,2010 election? … Who knows?.. Who will be walking through the Town Hall door tomorrow?…. Mayor Roseann Minnet, Scot Sasser and Chris Vincent…three fine candidates…who are fully supported…totally organized and ready to earn your vote! Comments Off on Here’s The Scoop …… Scene And Heard … 24 Hours Before …. 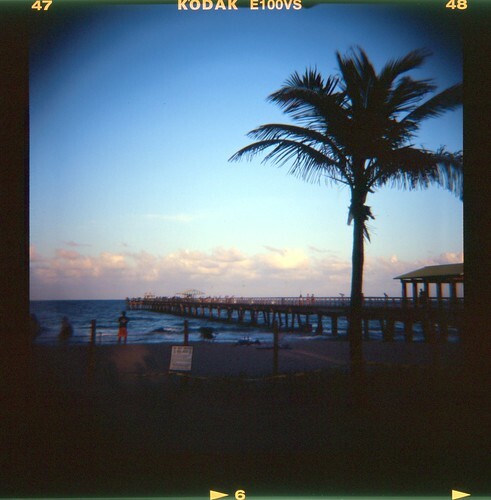 Here’s The Scoop … The Sun Finally Set On 2009 In Lauderdale-By-The-Sea …. A FINAL LOOK BACK AT 2009 ….. The ribbon cutting for the $2 million dollar Public Safety building…despite the BSO not in…and VFD not allowed to sleep there …Bags finally came off the meters throughout town…The new VFD-ATV broke …Vice Mayor was caught in the “purchasing” on the repairs /new apparatus despite a letter to the Fl. Ethics Comm. he did not have any such role…Comm. Silverstone began frequent his freedom of speech “Norm Crosby”/ answering the public comments made act…Joe Couriel thrown out of the meeting called VM McIntee “God”…Vice Mayor McIntee was now called a “Vigilante” in town for patrolling and calling out code violations…Vice Mayor McIntee was proposing his VFD referendum to make the VFD a lifetime public safety provider…Vice Mayor McIntee, Comms. Clottey and Silverstone wanted to put bathrooms in the alleyway…This writer found out Deerfield Beach was asking for the annual performance review for their Town Manager and began the search to see if TM Colon was to have on as well…The pre-proposal meeting took place for the Waste contract RFP …This writer found a seriously flawed contract brought to the table by the Town Manager and poorly presented by her Asst. TM Olinzock..it contained a requirement for a toter per unit and warnings given verbally that day and posted of the up-rise that would ensue fell on deaf ears…This writer received the Manager’s contract to find an annual performance review was indeed required before the budget was adopted each September…This was just the beginning for that portion of Esther Colon’s contract and for what else she put in it…. The old BSO Chief was gone…New BSO Chief Oscar Llerena was brought in to work with Lt. Angelo Cedeno…..The RFPs went out for the slimmed down BSO renovation…with again the results not being read aloud…extra time and money spent to keep all in the dark with Ocampo and the deadline missed as was required…again swept under the rug……The administration went ahead and changed out the windows in the existing BSO headquarters…The TM bought new vehicles for town and tried unsuccessfully to sell the old…also unsuccessful in selling the development trailer…on its way out…as Minto is allowed trailers across the way with no expiration date…We still we have the warehouse in the west…and no updates on the dais…We finally learned about the money for capital improvements…thanks to Comm.Dodd/Resident Yann Brandt persistence and the hefty pre-payment penalty thanks to Finance Director Colon’s past direction……we took a financial hit due to the TM secrecy and lack of response for the requests…despite Comm. (He’s not a CPA) Silverstone’s bait and switch attempts to give the TM cover…In a 4-0 vote at the 1st Sept. budget meeting …Clottey was M.I.A. ..the direction was pay it off…TM Colon paid it off the next morning.. with no negotiation… We had the adoption of the annual budget scheduled on Yom Kippur…with fallout and the “slights” spoken by McIntee and Silverstone that cannot be wiped away…despite McIntee’s action of trying to appease the Town’s Jewish residents by enlisting a Chabad Rabbi to give the invocation thus bypassing protocol and going behind the Town Chaplain’s back…There was a unilateral action by Town Administration using a Wilton Manors copied Townwide survey…It out with the politically driven and factually inaccurate question for the townwide height of 33’……The expected dismal response came in…It was used as P.R.in a slanted Town Topics entry at the end of the year…. Comm. Clottey and TM Colon put out an RFP for the Senior Center…bypassing the rest of the commission and treating the center’s Director very badly…In the end the Director was re-upped…there was alot of bad P.R. and less than truthful response for their actions on the dais…and payback from the Manager with not allowing under 60/non- residents from attending after 9 years…at the end of the year petitions are in the works once again……Fees for town went up 5% in 6 months rather than a year…The “Gang” brought some back down to appease their upset supporters…The Town Manager fought back often from the dais saying she will be the “browbeater” of her staff and will not be the “browbeatee”…The TM went after a early candidate for McIntee’s seat early on with a questionable and unconvincing use of the BSO to undermine his podium claims…it failed…The Manager’s performance review consisted in the end of 2 round tables…a special meeting with a “Range Rider” brought in though unfamiliar with the town…and a borrowed Lauderhill based evaluation done by 4 of the 5 commission members of the dais…More Referendum workshops …. heights and ethics and lifeguards…Halloween came with alot of unnecessary Mcintee noise …literally…and more “jobbed” numbers of the cost……… Esther’s evaluations of her staff proved she evaluated THEM annually …McIntee tried to get the sewers in front of his house fixed “anonymously”…and withdrew the item when caught…A number of candidates came forward for the 2010 municipal election to run against the “Broom Boys”….Unite Our Town now the largest growing Town PAC had a fundraiser at Athena By The Sea and an overflowing crowd….The CIC’s was not so plentiful except in the propaganda published after the “it’s a fundraiser …it’s a dinner…it was a fundraiser after all” event in the Surf and Yacht Club whose Board has asked the CIC Chair/BTSTimes Editor Bob Roberts to stop the CIC use.. A meeting set for Jan. 3, 2010 shows Robert’s does not abide by the rules either……Bonnet House was the sight for the ribbon cutting ceremony for A1A scenic Highway….McIntee again tried to get the cul-de-sacs back and go after the “developers” of Garden Court…The VFD sent out a colorful mailed plea for Booster Fund donations claiming they needed the money and saying it was tax deductible…which it is not…a big problem for longtime VFD Registered Agent Comm. Jim Silverstone… McIntee went on a cruise and left the Furths high and dry…as the vote for heights and ethics went down…and off the 2010 March ballot…It happened in a preview of a whatt a McIntee -free dais can be like…Commissioner Clottey accused political opponents of vandalizing her car…and later it was found she made no police report…McIntee came back and returned to the dais on Dec. 8th with an anonymous ( or was it?) letter accusing the Mayor’s occupation …and ended up with the majority voting to allow for anonymous letters being accepted as long as one commissioner knew the identity……A 1960s evaluation was posted about a certain “Quack” at the beginning of his chosen occupation…. Upon his return from the sea …McIntee chose to throw his Chief of the VFD under the bus…and ran for Fire Chief position himself ready to resign from the commission ( or was he going for both? )……He lost in a landslide… as a complaint made against him for his altercation in Mexico was read and put with 5 others in his permanent file…He is said to have made threats and then went underground…although he attended the CIC- Carribean Christmas party and was promptly welcomed back into the Furth Town East fold…He went away for Christmas only to return a few days before New Years Eve with a TM “oversight” assist to go after the VFD ….and take down what he said he built… The VFD are seeing support everywhere without him…knowing now his threats were empty and when all said the “problem” was not with the VFD ..it was with their leadership…They really meant it was with McIntee!… The new candidates, Scot Sasser and Chris Vincent were busy going door to door .. Chris had a Boat Parade fundraiser…and they are way ahead of whomever they run against…The CIC has yet to announce…with word going around McIntee is over…or McIntee is in…Silverstone is not yet finished…or Silverstone will finally put his Fiancee’s wishes first and not run…And Cristie Furth is still trying to ascend to the commission…… Christmas brought a weekend of overflowing garbage /recycling cans…due to a change in the Choice contract…and a myriad of calls that despite the Colon negotiated contract brought Choice out to deal with the lack of oversight…New Years Eve was last night…it was another McIntee- free event.. Fireworks and warm wishes were the universal theme of the night….as the ball dropped and shouts were heard in Pelican Square…”Happy New Year!”.. Comments Off on Here’s The Scoop … The Sun Finally Set On 2009 In Lauderdale-By-The-Sea …. Here’s The Scoop … Smiles All Around …. THE “GOOD GUYS ” … Village Grille and Pub ….12/22/09 ….. Comments Off on Here’s The Scoop … Smiles All Around …. NO APPOINTMENT NECESSARY …. DISCOUNTS FOR 3 OR MORE … …. “I have reviewed the video of the end of the previous meeting several times. I am not going to get into any controversial discussion or argument at 11.15 p.m. after a 4 hour session. I can tell you I will always put the unresolved issues on a fresh agenda item to be discussed at another time. After careful consideration it appears the town manager was trying to imply a commissioner had broken one of the rules regarding the “Cone of Silence”. She stated verbatim – I guess we forgot about the cone of silence that was handed out in January 2009. She state shortly aft verbatim – If this town commission is going to allow or is going to communicate with vendors and accept bids that are non responsible ( I think she meant non responsive) the issue is on this dais. First I would never dream of interfering, negotiating, and making false promises during any part RFP process. The bids were opened on the parking RFP months ago and I was contacted by the vendor with a problem with our town staff and I chose to reply and send a copy to the town as a public record. I received the following – E-mail from a vendor bidding on a town RFP. “ What in hell is going on in Lauderdale by the sea” . She expressed how rude the caller from LBTS was. He said the person was short and requested the contract and just hung up the phone. The caller from LBTS didn’t even provide sending instructions. This was the second call – It must have been bad ….. The rudeness and unprofessional contacts with our customers however – has no acceptable format. I replied – On behalf of the commission please accept my apologies. I asked on September 11th for the evaluation and reason behind the town staff’s strange choice when your RFP to the casual observer to be in the best interests of the town. Please accept my personal apologies………. I’m sorry Commissioner Silverstone if this e-mail apologizing on your behalf has upset you and that you want to be excluded from any situation where an apology is in my opinion required. If you receive a personal e-mail that requires an apology on behalf of the town I would ask you kindly to include me in. Remember it was an e-mail addressed to me and I had no way of knowing whether it was also sent to anyone else. I personally feel my actions in no way infringes any Cone of silence or other rules regarding RFP’s and is in fact the code of decency to apologize unless you believe the vendor made it up. We are public servants and should act and behave as such. If we are raising the cone of Silence – I feel the Vice Mayor telling Armelio – “We just have to go through the motions” even before the bids were opened to be a blatant and far more serious infringement. What about all our conversations with Minto where all the commissioners privately met with Minto to discuss changes to their next building phase. Does that constitute a breach of the cone of silence? Does that constitute a breach of the cone of silence? I will not be accused of anything by innuendo by the town manager or anyone else – get the facts straight and ask the question if you have something to say. I have said before – if you have a problem call me and I will come and see you in your office and with a witness if you want – I’m not the one with the problem. Also for the record the cone of silence was actually in the ethics ordinance back-up that I tried to get this dais to introduce earlier this year. Also for the record this town does not have a Cone of silence ordinance as adopted by other municipalities into their code, this town has no reference to cone of silence in the purchasing manual and there was no reference to the cone of silence in the parking RFP. I fail therefore to see how this commissioner could be accused of breaking it by sending an apology after the bids were closed months ago. I was wondering why you stayed for the entire 5 hour ordeal. Turns out you made the effort to meet each one of use and to thank us. That was a step above and beyond. I was most impressed and further more after I received your email below. Thanks for achieving your intent. It benefits both of us. Item #1- was the previous single choice offered up to the commission when we were operating under the pre-“Mr Oliver”-Clottey fast friendship…that threw the Town Managers almost 2 year assertions under the bus…Thinking we only could use the funds south of Commercial…and after a rather embarrassing MPSC/ commission round table some months back…Ocampo was directed to work with the Art Institute student’s designs for the medians and come up with some renderings…and they did…It was pet walks, benches, exercise areas, water features…and shade.. Finally Chair Paul Novak jumped in to speak about the cost being somewhere in the neighborhood ….pun intended of 3500-4000 square feet excluding the Oriana and Minto medians …. VM McIntee his foot shaking …his jacked stuck up in his chair…leaned forward…”back-out not in the game”..and we take care of the drainage…Comm. Dodd again tried to straighten him out…VM McIntee was belligerent…”I’m asking him”(Ojito)……Ojito said …$100 per linear foot plus demolition … and you cannot “piecemeal” drainage …cost $650,000- $750,000..
VM McIntee was like a dog who was just thrown a bone…”Shade is the issue”…(Since when?)…. Comm. Silverstone went on about “liability” of walking on the stamped concrete lanes…Hmmm…(but he just said he wanted a lane for walking)…Ojito spoke of the cost to cut to one lane…(HUH? …No Cristie Furth came a running upon hearing El Mar 1 lane?)….. More discussion on the stamped concrete and its impact on ADA…and talk of losing the stamped surface with a “re-do”…. Vote them out in March…and let the next commission cancel the “gangs” “Fast” food order…..
Taco Bell Doggy Bags for all!…. When it came to the referendum items the ethics went down first as expected…as previously posted the intention for ethics went from zero to sixty in complexity …and as stated by Candidate Scot Sasser it took a wrong turn from what Commissioner Dodd had asked for…which was a simple, common sense ordinance that was based on one’s character and sense of duty to the office…Commissioner Dodd said appearance of conflict did matter…despite the senseless protestations in response from “2-Hats” BFF Commissioner Silverstone that “appearances are subjective”…Hmmm…. Then it was the “lowering: the height to 33 feet in south end of town… with Commissioners Silverstone and Clottey down at their end of the dais contentious and convoluted in their stance.. They heard the people in the hall who chose to speak on the subject and if they held true to their records on past public commentary and “the will of the people” they would have seen this was a no go…But they knew where their bread is buttered on the height issue and where they park their cars daily……at Town Hall East… They also knew they better do whatever and say whatever they could, even if it flew in the face of public opinion and the facts…as not to deal with the wrath of Christie Furth the Town’s resident “33 Foot Crazed Woman” (prev. post)…sitting all alone in the corner in the back!.. They tried..they tried hard…doing further harm to their credibility in the process to please Ms. Furth..but it was not to be..
Commissioner Dodd called a break…and the room erupted in glee …the “will of the people” prevailed… as it did when the battered and bruised majority did so long ago, when they were in the right!..